At Armbrust Dental, Dr. Henley has gathered together a team of dental professionals who are dedicated to your oral health. The Armbrust Dental team is more like a family, and we treat our patients like friends instead of just another smile to work on. At our Omaha dentist’s office, you can rest assured that we are always working hard to help you achieve your best smile. As a native of Omaha, Dr. Henley is proud to have served this community for more than 28 years. He loves knowing that he is giving back to the city that has given so much to him. 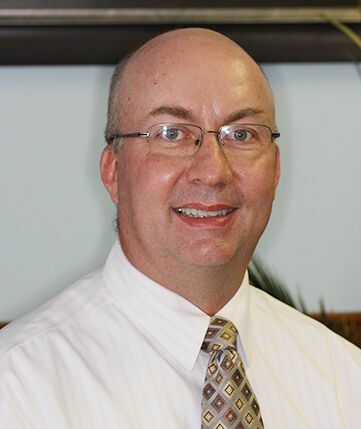 He earned his bachelor’s degree from Creighton University and stayed to receive his Doctorate of Dental Surgery from the Creighton University School of Dental Science. Dr. Henley is committed to lifelong learning, so he stays up to date on the latest trends and technologies in the dental field. His goal is always to provide his patients with the best possible care. Dr. Henley is a member of the American Academy of Cosmetic Dentistry and has received extensive postgraduate training in IV Sedation at the University of Southern California. He has also received training in orthodontics, dental implants and LANAP periodontal therapy, so he can provide you with more comprehensive care without the need for referrals. In his spare time, Dr. Henley enjoys golfing, playing the guitar, writing music, traveling with his wife, and cooking. He is a former church parish council member and president. Ready to meet Dr. Henley and get started on the path toward the smile of your dreams? Call our Omaha dental office today at 4023960003 to schedule an appointment or cosmetic dentistry consultation. Dr. Henley and the entire Armbrust Dental team can’t wait to see your smile!